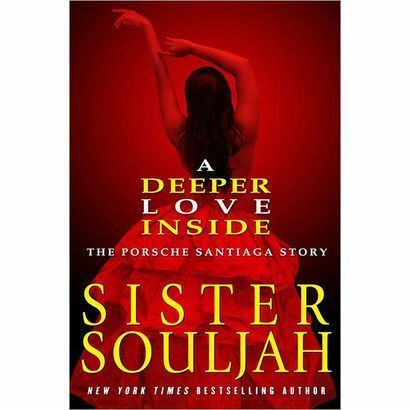 You will remember A Deeper Love Inside: The Porsche Santiaga Story was on my wish list for this month so I bought it and read it recently. There are spoilers in this so if you haven't read the book yet or don't want to know what happened before reading it yourself, DO NOT read anymore. Come back after you have read it instead. If you read the book already or don't care that there are spoilers, then click below to read on. I liked the book but like some reviewers on Amazon shared, I don't think the book should have been marketed as the sequel to The Coldest Winter Ever. I say that because, while it did pick up from where TCWE left off, ADLI was from Winter's sister's point of view. Winter is not even close to a main or supporting character in the book and we don't know what's been going on with her after she got sent to prison. Readers will not even "see" her until the end of the book and even then it is only briefly. I get why it was marketed as such (maybe to create more intrigue that would lead to TCWE lovers buying this one) but I don't think ADLI is a sequel, per say, at least not in the way most TCWE readers may be thinking. In true Sister Soulja fashion, the book was a page turner and took you on a suspenseful journey. It gets slower towards the end when there is less "drama" going on. There are some parts that messed me up a little. Like can we talk about Siri? So at first the book has you thinking Siri is a real person and then as you read on you realize that no one else talks to or acknowledges Siri except Porsche. It left me wondering did she have mental issues and Siri was her young mind coping with overwhelming experience of being in juvie and not having any knowledge of where her family was? Was Siri her spirit/spirit guide? Or was Siri another side of her, like a schizophrenia type thing? I never quite got a handle on that. And then the fact that Porsche's love interest, Elisha, saw Siri too messed me up even more. I must also touch on how much of a "fictional" story it truly was. TCWE felt more like a fictional book that was realistic. I didn't get that same feel from this one. There were many parts that were very "unrealistic" and many people lamented about this but it IS fiction. That means anything goes, it doesn't have to make sense- just has to tell a cool story. So the fact that an 11 year old was living in the basement of a corner store with her crack head mama while she worked 5 million side hustles and didn't go to school was far fetched but IT'S FICTION. Anything is possible when it's a fictional book. The book was def good fiction for "girl power". Porsche, against all odds of being shuffled from foster home to foster home after the family fell apart before being thrown in juvenile detention center for stabbing a social worker, prevailed and ended up with a pretty sweet life by the end of the book. I like that Sister Soulja made her smart, determined and a hustler that worked hard AND smart. She also conveyed throughout the book how powerful our thoughts are and that if we obsess over something we want bad enough, stay focused and work hard and smart enough for it, it has no choice but to show up for us. Porsche was determined to find her family (which she did) and have the money again to live the lavish lifestyle she lived before (which she also did). Was it necessarily in a "realistic" way? Maybe not most of the time but I was inspired to step up my game for stacking my chips and to keep working smart. I also liked the Diamond Needles crew and how Porsche was initiated in. Sister Soulja didn't portray the Diamond Needles as a gang but as a network of girls that were smart and had plans in place to reach certain goals instead; they banded together to do good. 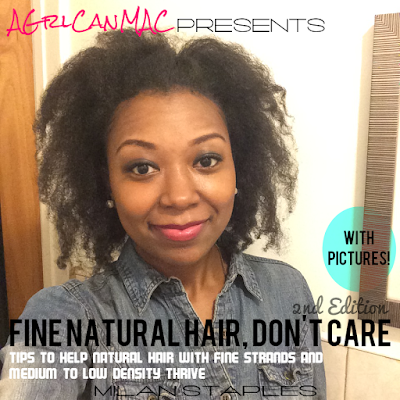 It reminded me of joining a historically black fraternity or sorority. Without going into details, when you are pledging for a HB fraternity or sorority- you are being taught: things for success, the organization's history and its inner workings, things for your personal growth (that you may not realize was happening until later) and how to work as a unified and intelligent network to make plans that achieve various goals. So, she was not HAZED/jumped into the crew (there is a difference between being hazed and being pledged) but I think she was pledged in a way and there were certain things she had to do in order to be a member of the crew. Was how she was pledged the exact same as how historically black fraternities and sororities bring in initiates? NO. Lol. But the theme of her learning and having to do something to join reminded me of the overall theme of it. Overall, I give this book a C+/B-. It was an entertaining read and a page turner. Some parts were very unrealistic and the whole Siri thing had me all messed up but it is a fictional book so it doesn't have to "make sense". I also liked the "girl power" angle on it and I was able to draw inspiration from the protagonist to get my smart hustle mentality up and keep a healthy dose of determination to have the life I want to have no matter what happens along the way. What were your thoughts of the book?